The continent is mostly at peace — and is reaping the economic, political and social benefits. There’s a general feeling of optimism about Africa these days. And the good news, which runs deeper than rapidly improving health and quality-of-life indicators, deserves a closer look. Perhaps most significant, a relatively high proportion of sub-Saharan Africa is at peace today. It is more stable and less prone to conflict, relative to previous decades. Violence in the Congo region and Rwanda, for instance, killed millions in the 1990s. There is nothing comparable going on today. This general move toward greater peace has been detailed in a recent reportfrom the Institute for Security Studies. This peace will also pay a demographic dividend, as the aging of Africa’s population, and the marrying off of many of its young males, will decrease the potential for conflict. Older, more settled populations are less likely to go to war. The costs of war are far more numerous than death. War can cause malnutrition, long-term damage to infrastructure, polarization and ruined politics, and the traumatization of entire populations. So the likely ongoing diminution of war in sub-Saharan Africa should bring many collateral benefits, boosting an overall positive dynamic. 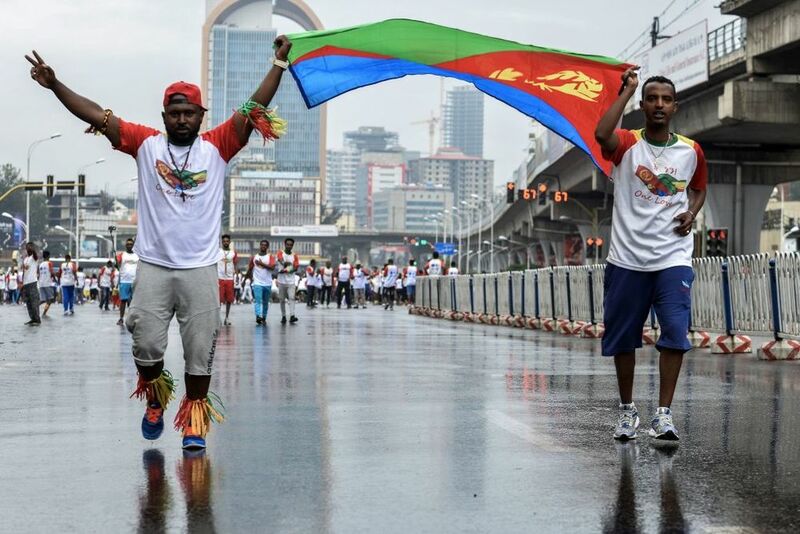 Not only have Ethiopia and Eritrea stopped fighting, for example, but they have also resumed open trade and travel, to the benefit of both countries. As long as peace holds, African nations should be able to continue to import new technologies from the rest of the world, and of course develop some of their own. That will lead to a virtuous circle of greater education, higher productivity, and more contentment with living standards, reinforcing the basic dynamic toward peace. A second dynamic is harder to measure or prove, but is also likely positive: greater national unity. It is a longstanding concern that the colonial powers drew African national borders that did not sufficiently correspond to the underlying ethnic and linguistic groups. That in turn boosted the probability of conflict and instability by making many nation-states prone to bickering over the nature of the regime. Furthermore, the colonial powers made this problem worse by instituting “divide and conquer” strategies in their territories. The Belgian rulers drew people’s attention to the underlying ethnic divisions — such as Tutsis and Hutus — in what is now Rwanda, for example, and the British did something comparable in Nigeria. Many serious problems remain with respect to national identity — in places such as the Central African Republic, South Sudan and Cameroon — so a celebration would be premature. But, to pose a simple question, if you were asked to trade the Africa of the 1970s or ’90s for the Africa of today, the right answer would be pretty obvious. There has been so much net progress on the ground. The simple truth is that today’s Africa is still underrated.